Church of the Annunciation . Please Read More About This In Comments. HD Wallpaper and background images in the Jesus club tagged: jesus club jesus our savior our brother our best friend god's only begotten son healer the mesiah. A church in Nazareth, in modern-day northern Israel. The church was established at the site where, according to Roman Catholic tradition, the Annunciation took place. In other words, it is believed to be the location where Mary, the mother of Jesus, as a virgin, was visited by the Archangel Gabriel and told that she had been selected to be the mother of Jesus. Greek Orthodox tradition holds that this event occurred while Mary was drawing water from a local spring in Nazareth, and St. Gabriel's Church was erected at that alternate site. The current church is a two-story building constructed in 1967 over the site of an earlier Byzantine-era and then Crusader-era church. 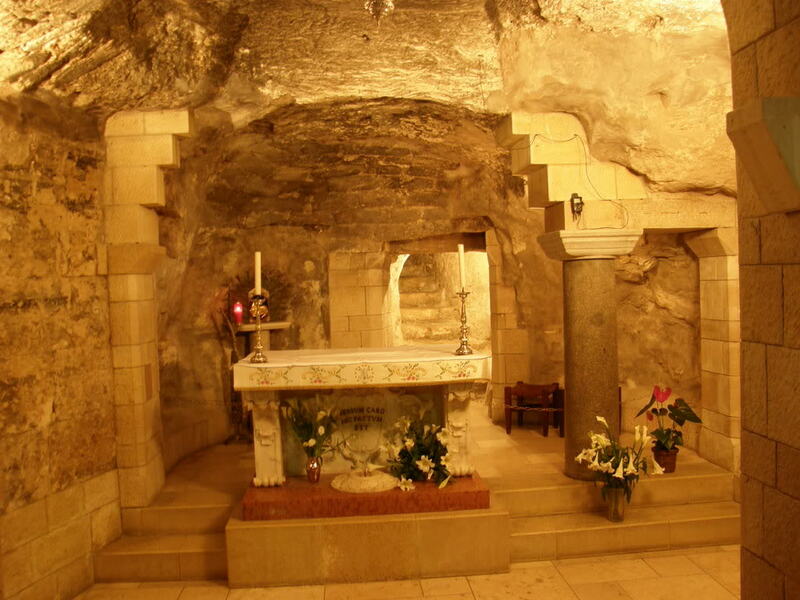 Inside, the lower level contains the Grotto of the Annunciation, believed by many Christians to be the remains of the original childhood home of Mary.